What does a horsey So-Cal social club, some killer vintage gingham and Walt Disney have in common? 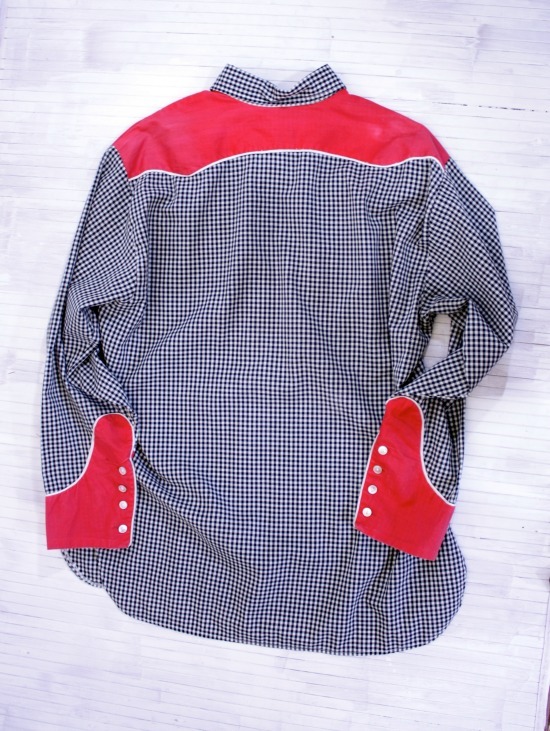 Killer vintage 1950s gingham western wear work shirt- that's what caught my eye. 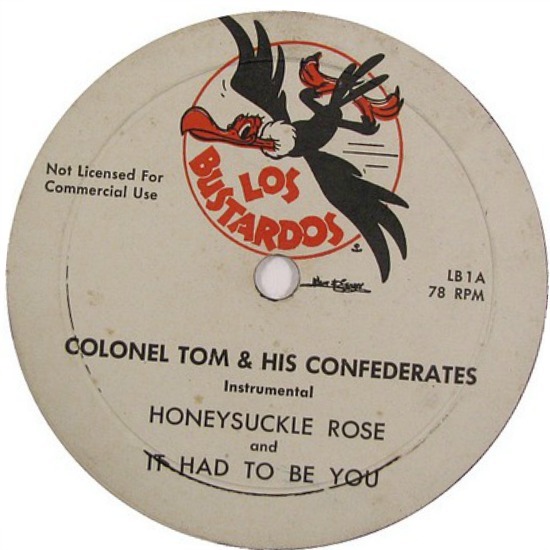 Also, the kitchy retro patch of what I took to be the name of a band, Los Bustardos. A little detective work turns up some interesting facts: it's the name of a So-Cal social club of primarily gents who are fond of horses. Members included Walt Disney, who drew up the club's logo, that charming little buzzard you see on the patch. Said logo was used in a variety of venues, including the occasional taped recordings of jazz bands who played at the club. Wow! This is an impressive find indeed! 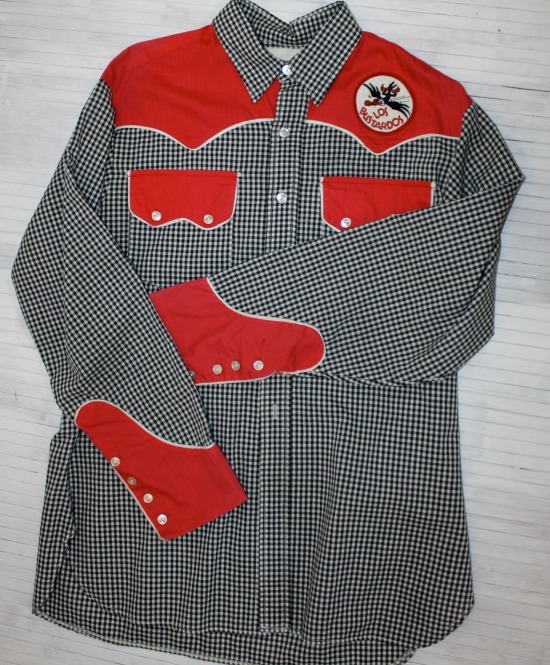 OOh, I do like me a bit of Western wear and some heritage with it, too cool for the ranch. That is so totally unique and such a find! I hope you make bank when you sell it!